There’s supposed to be a moment of conversion in the careers of Abstract Expressionists. For Adolph Gottlieb, it comes in 1957, when he studies his “Imaginary Landscapes” and decides to get rid of everything except the orbs floating above the horizon, thereby arriving at the format of his landmark painting, Burst. Critics like to isolate these moments of conversion because they reduce the messy narrative of an artist’s career to one epochal discovery. 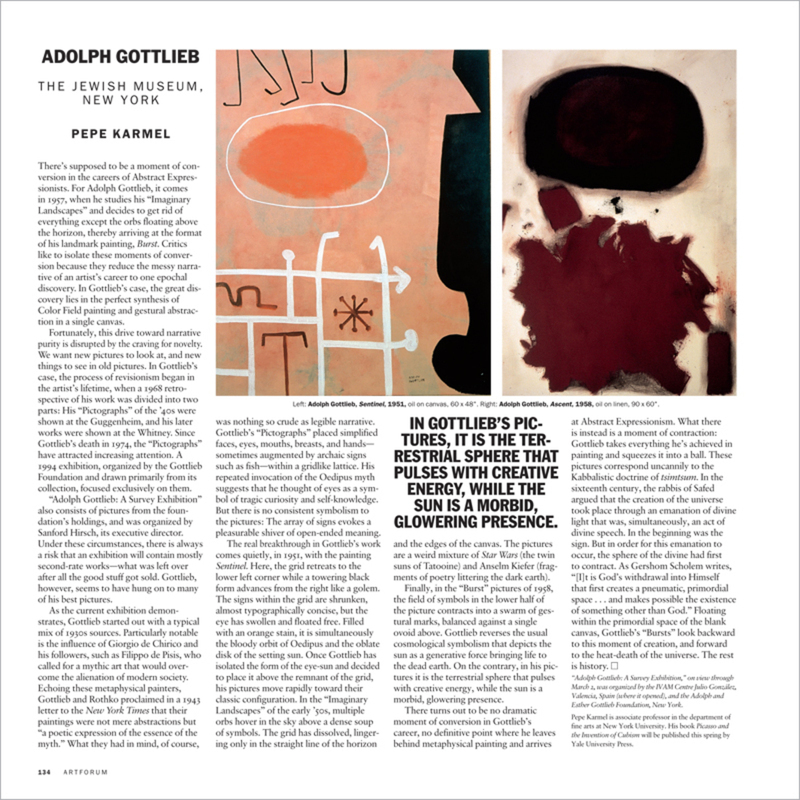 In Gottlieb’s case, the great discovery lies in the perfect synthesis of Color Field painting and gestural abstraction in a single canvas.